Well, easy and comprehensive win for the Pakistan over West Indies at Mirpur in Game 1 of knockout stage. Now Pakistan sailed into the semis where they will face either Australia or India at Mohali. Its been thoroughly professional display by Pakistan where they dominated the game right from the start and never allowed West Indies to claw back into the contest. It seems that Pakistan carried the momentum with them from the league stage has helped them nicely in achieving this win. To me Shahid Afridi was the hero of Pakistan's victory as he continued his good work with the ball in this match as well by picking up another 4 wicket haul. He lead Pakistan from the front and help Pakistan to achieve this victory. Apart from Afridi all the Pakistani bowlers joined the party and picked up wickets regularly which reduced West Indies to only 112 runs which was not the total, Caribbean team would have thought before the start of the match. 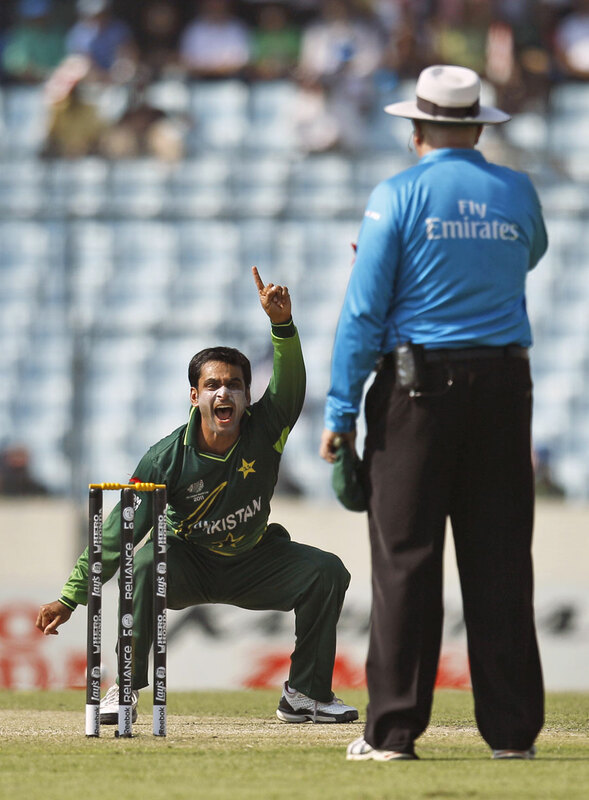 Umar Gul once again looked impressive and Saeed Ajmal also grabbed the opportunity with both hands. Apart from Ajmal, Mohmmad Hafeez stood out among all the players because of his all-round performance with bat and ball and hats of to Afridi who believed in the ability of the Hafeez and given him chance to open the bowling It was terrific bowling performance by the Pakistan. Tough time ahead for the team which will meet them in semis at Mohali. Today Pakistan played flawless cricket. Finally West Indies played Shivnarine Chanderpaul and he proved their most successful batsmen as he hung in till the last for West Indies and helped them to go past 3 figure mark. 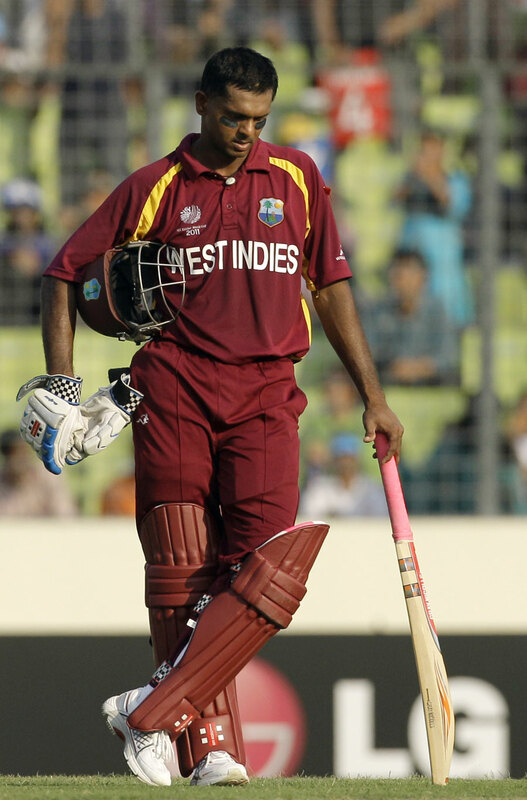 It was really valiant effort from seasoned campaigner like Chanderpaul. Had he got some support from the other end then West Indies would have certainly posted the competitive total on the board but pathetic batting display by Caribbean batsmen spoiled the day for all the Caribbean fans. After putting small total on the board it was evident that Pakistan will going to win this game but it was expected that West Indies will give some fightback to the Pakistani batsmen considering weakness in Pakistan's batting but Caribbean bowlers proved more disappointing than their batsmen and given too many runs to the Pakistan's liking and in the end Pakistan won by 10 wickets. Now West Indies will go to home and have to analyse their performance of this World Cup. Pakistan will now take on the winner of Australia-India match at Mohali and it looks like Pakistan is determine to win the elite trophy just to bring smiles on the grim faces of Pakistanis who are going through tough times. If Pakistan wins World Cup this time then it will wash away all their sins and controversies.